Two soap stars will be taking to the stage in Aberdeen for next year’s production of the Rain Man. The show, based on the Oscar winning film of the same name starring Tom Cruise and Dustin Hoffman, tells the story of disgruntled salesman Charlie Babbit. Babbit discovers he has a long-lost brother, who has inherited a multi-million-dollar family fortune, and the pair subsequently embark on a wild and raucous road trip across the United States. Yesterday it was announced that Paul Nicholls, who appeared as Joe Wicks in EastEnders, and Chris Fountain, who played Justin Burton in Hollyoaks had signed up for the production. Burton will play Charlie Babbit, and Nicholls will star as his brother Raymond. 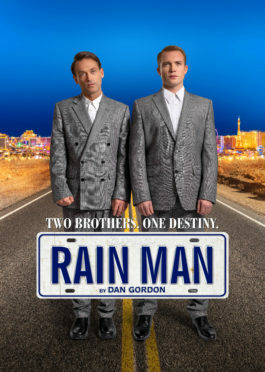 Rain Man will come to His Majesty’s Theatre from April 1-6, with tickets starting from £22.50. To book tickets call 01224 641122.